Coastal real estates in Bulgaria. 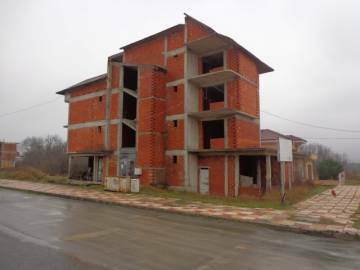 Fully finished one-bedroom apartment for sale in a building in Bulgaria, on the coast, in the coastal town of Primorsko. Permission for use - Act 16. 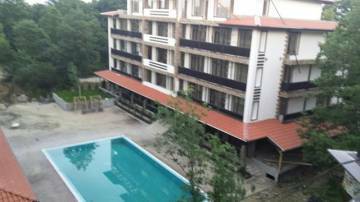 The Complex just 5 min away from the beach, on the Black Sea coast. Possibility of night and beach fun, fishing and hunting, golf. Coastal real estates in Bulgaria. 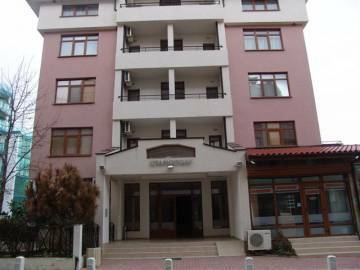 Fully furnished one-bedroom for sale in Stamopolu complex next to the dunes on the north beach and 200 meters from the water in the coastal town of Primorsko, in Bulgaria,. Permission to use granted - Act 16. Possibility of night and beach fun, fishing and hunting, golf. Coastal real estates in Bulgaria. 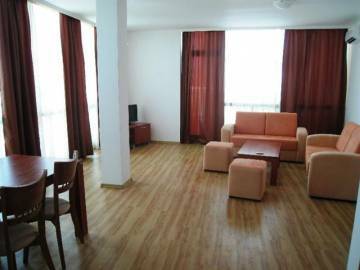 Fully furnished studio for sale in Stamopolu complex next to the dunes on the north beach and 200 meters from the water in the coastal town of Primorsko, in Bulgaria,. Permission to use granted - Act 16. Possibility of night and beach fun, fishing and hunting, golf. Coastal real estates in Bulgaria. 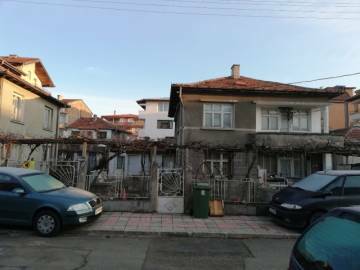 Fully finished one-bedroom apartment for sale in a building in Bulgaria, on the coast, in the coastal town of Primorsko. Permission for use - Act 16. The Complex just 100m. away from the beach, on the Black Sea coast. Possibility of night and beach fun, fishing and hunting, golf. Coastal real estates in Bulgaria. 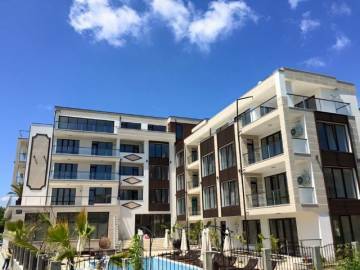 Fully finished two-bedroom apartment for sale in a building in Bulgaria, on the coast, in the coastal town of Primorsko. Permission for use - Act 16. 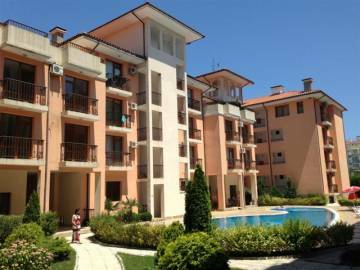 The Complex just 400 meters away from the South beach, on the Black Sea coast. Possibility of night and beach fun, fishing and hunting, golf. Coastal real estates in Bulgaria. 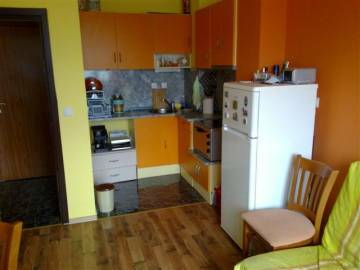 Partial furnished two-bedroom apartment for sale in a building in Bulgaria, on the coast, in the coastal town of Primorsko. Permission for use - Act 16. 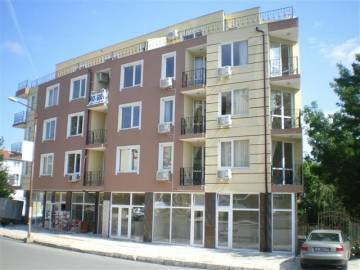 The Complex just 400 meters away from the South beach, on the Black Sea coast. Possibility of night and beach fun, fishing and hunting, golf. Coastal real estates in Bulgaria. 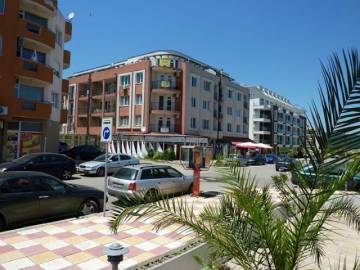 Fully furnished one-bedroom apartment for sale in Gardenia complex in Bulgaria, on the coast, in the coastal town of Primorsko. Permission for use - Act 16. 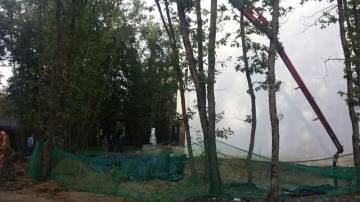 The Complex just 500 meters away from the beach, on the Black Sea coast. Possibility of night and beach fun, fishing and hunting, golf. Coastal real estates in Bulgaria. 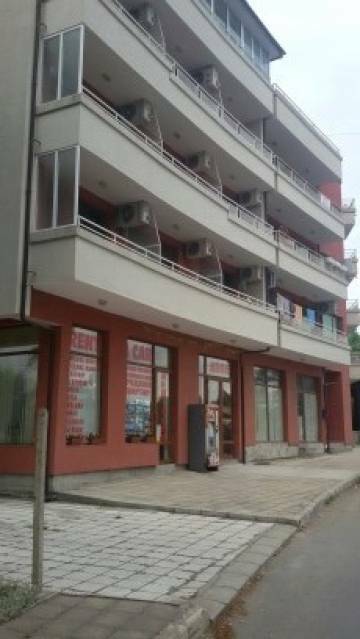 Fully furnished panoramic three bedrooms apartment for sale in an apart-hotel in Bulgaria, on the coast, in the coastal town of Primorsko. Permission for use - Act 16. The Complex just meters away from the beach, on the Black Sea coast. Possibility of night and beach fun, fishing and hunting, golf. Coastal real estates in Bulgaria. 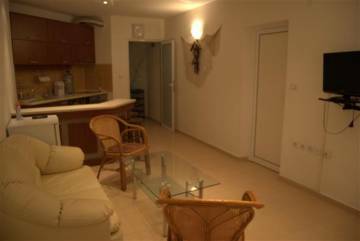 Fully furnished panoramic one bedroom apartment for sale in an apart-hotel in Bulgaria, on the coast, in the coastal town of Primorsko. Permission for use - Act 16. The Complex just meters away from the beach, on the Black Sea coast. Possibility of night and beach fun, fishing and hunting, golf.